Lost in the excitement of the New Jersey Devils’ 5-2 Game 3 win against the Tampa Bay Lightning in their opening round series was the return of two players to their lineup that had an impact that goes deeper than the stats will ever show. 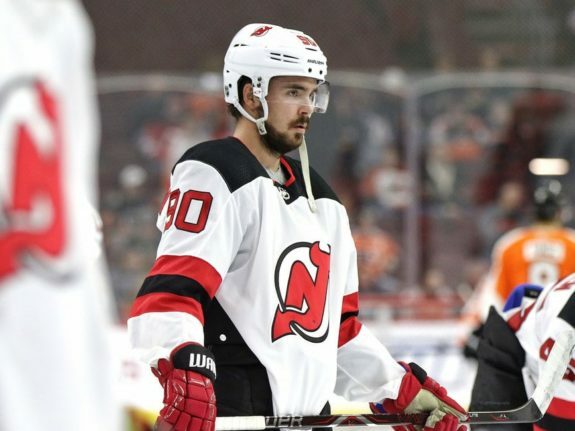 Marcus Johansson played his first game since January 23 (a span of 37 games) when Boston’s Brad Marchand accidentally on purpose elbowed the Devils forward in the head. Johansson suffered his second concussion in three months while the Bruins’ agitator went to the NHL All-Star Game in the middle of his five-game suspension. In goal Cory Schneider made 34 saves, picked up his first win in the year 2018, and backstopped New Jersey to their first playoff win since 2012; coincidentally it was his first playoff win since 2012 when he was victorious with Vancouver against the Kings in Los Angeles. 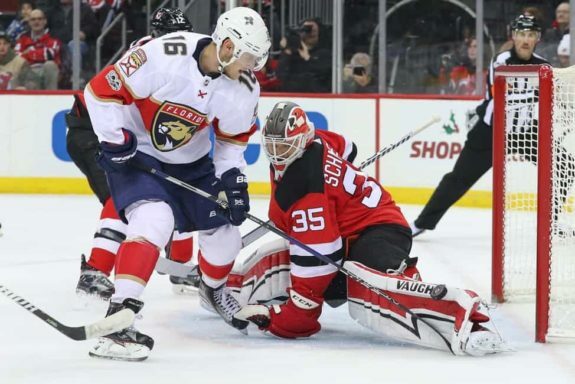 Schneider was felled by groin and hip injuries, also on January 23 in Boston, and when he was deemed ready to return to action Keith Kinkaid was in the midst of leading the Devils to a playoff berth. Johansson didn’t record a point, didn’t lead the team in any stat category in Game 3. Just his presence alone was more than enough as the coaching staff was better able to slot players where they needed to be in order to have success. The Swedish forward had 18 shifts for a total of 14:30 – 5:11 of which came on the power play, had two shots on goal and even was credited with a hit. “It was different, I don’t think any practice can prepare you for that. It’s another level. It was a lot of fun out there, a lot of fun being part of this win. I missed it,” said Johansson of jumping into a playoff series that was already going 100 miles per hour. He was shifty with the puck all night in open space, his presence on the second power-play unit gave Pavel Zacha a highly skilled player to work with and off of in creating scoring opportunities. He gave the Devils another weapon and really, it was like acquiring a top-end player at the trade deadline. For the first time all season they had their full team available to play. So much so that Michael Grabner, who was actually acquired at the NHL trade deadline, was a healthy scratch in Game 3. Yes, Taylor Hall did Taylor Hall things with a three-point game (1g-2a) and Stefan Noesen scored the game-winner with a clap bomb that left burn marks on Lightning goalie Andrei Vasilevskiy’s road white jersey. It may have only been for one game, they may lose Game 4 and the series eventually. 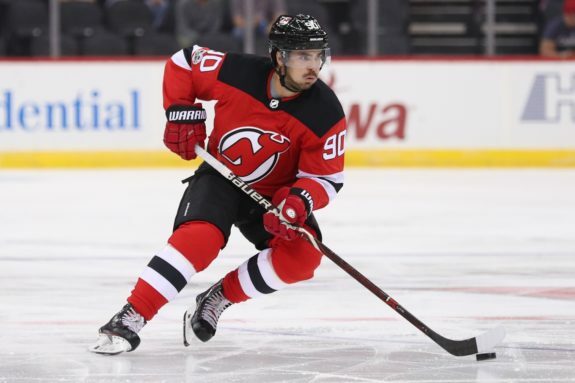 But for one game the New Jersey Devils played with a full lineup, went toe-to-toe with the best team in the East, found their MoJo (and their goalie), and rang up a four-goal third period to turn a 2-1 deficit into a 5-2 triumph.